« When is the last time you say ‘I Love You’ to your loved ones? As you may notice that this March the Earth Hour will be celebrated around the world by millions of people in across 152 countries and territories to switch lights off for an hour as a massive show of concern for the environment. Now let us fast backward to earlier week of this March, another ‘Earth Hour‘ like reflection but more intense and rooted, a symbolic mass participation event to give a little breath for the mother earth, the one where it all began from the past religious tradition of hundred years. Instead of only one hour, let’s imagine a 24 hours without activities, without vehicles buzzing the streets, no lights in the night, no human made noises, no traveling allowed, no entertainments, only a quiet, for some it also a food fasting day, and even no speaking, a total day of still and silence. It’s the Balinese Hindus, who has been celebrating a straight full day of ‘Earth Hour’ since the early days which called Nyepi, the day of the silence of the island. Nyepi, which falls on 12th of March this year is a celebration of Balinese Hindu’s Lunar New Year (Çaka Year 1935) that consents a day of absolute no activities in any form, based on the four precepts of Catur Brata Penyepian. Amati Geni (no fire) in which the lighting of fires, the use of lighting or satisfying pleasurable human appetites is prohibited to be done (this creates the situation where Bali will be dark in the night), including the ‘fire’ caused by human anger, hate and other similar negative emotions; Amati Karya (no activity) where people prohibited to do all forms of physical work other than those dedicated to spiritual cleansing and renewal (in which all industrial and commercial will be closed, except emergency public services like hospital, fire department, etc. ); Amati Lelungan (no travel) which prohibits movement or travel; requiring people to stay within their homes for 24 hours, thus facilities like air and sea ports also totally closed, no in or out on March 12; and Amati Lelanguan (no entertainment) where people are suggested to avoid all forms of entertainment, recreations or general merrymaking. These all Catur Brata Penyepian have been the Nyepi principles for Balinese Hindus that grew since hundred years ago until today. 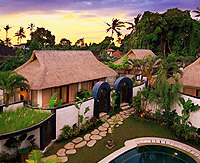 On the 17th of March, the entire Island of Bali will be in total silence and shut down from activities, no exception. Travelers must stay within their accommodations and activities / lighting / entertainments will be very, very limited to none. 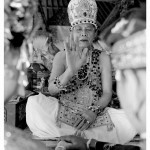 Beyond that, in fact, Nyepi Day is a series of celebration that is not only a one day ceremonial event. 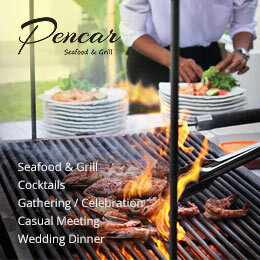 The day leading to Nyepi, some traditional festivals and rituals are celebrated. Melasti ceremony is to cleanse the small universe (our body) as well as the major universe where everything’s live. Mecaru ceremony is to neutralize and balance the negative power of Bhuta (evil) so that it is expected to bring peace, prosperity and wealth of the universe. You can witness one of the creative aspects of the popular festivals named Ogoh-ogoh, a large paper mache statue of various things, ranging from skeletons, monsters and other things that represent evil for the Balinese. 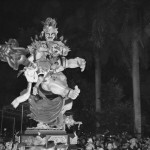 The Ogoh-ogoh parade is the icon of Nyepi. They will be paraded by villagers all over the island through the streets and make a lot of noise with a marching traditional Gamelan band, as they spin the monsters around in junctions to make them ‘dizzy’. This symbolize that all evil force will not disturb humans on their Nyepi day procession. These Ogoh-ogohs are marched on Nyepi Eve, where it creates a full of crowed night on the streets before it turns out to pure empty the next day. After Nyepi –the day where seclusion, contemplation and introspection takes place, is Ngembak Geni, a new beginning, a mood, a clean mind and pure spirit for a new course toward a better new year. Nyepi Day might be avoided by some travelers to Bali due to Catur Brata Penyepian restrictions placed during the 24-hours of silence, but for some, this is an interesting moment to witness the rituals and traditions that make this island so uniquely special and to experience first-hand the magic of the Island of Gods. we are just celebrated it last months. This event is really great since we, Hindus people, celebrate our Caka New Year in peace and silence. 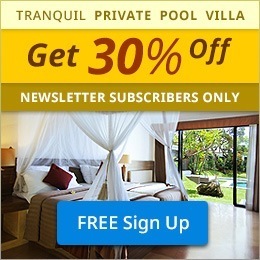 Hope you love to experience Nyepi in Bali with us. 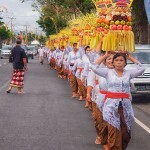 it is one of the very famous cultural rituals in Bali. 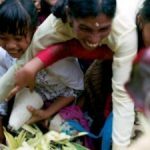 the majority of its citizens are Hindus make the celebration of Nyepi is a traditional ceremony to be performed by anyone resident in Bali. very unique, exciting and of course you’ve seen it. nice post. thanks. 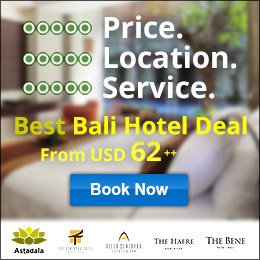 hey, when to Bali is you’ve got a good accommodation facility? you must have got it. nice. thank you for sharing your thought over Nyepi. 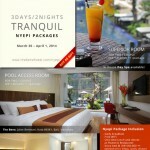 We are looking forward to welcoming you to experience Nyepi in Bali.